Kinshasa (Agenzia Fides) - "It is the irregularities that would irritate the population and the most serious thing that could lead the Congolese people to revolt would be to publish results which do not conform to the truth of the polls. If there is a revolt of the population, the responsibility will be of the Independent National Electoral Commission (CENI)", warned His Exc. Mgr. 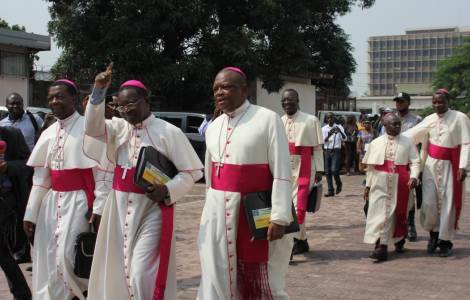 Marcel Utembi Tapa, Archbishop of Kisangani and President of CENCO (National Episcopal Conference of Congo) in responding to the criticisms of the preliminary report of the Electoral Observation Mission (MOE-JPC/CENCO) promoted by the Episcopal Commission for Justice and Peace, on the presidential and political elections held on 30 December 2018.